In addition to the regulations mentioned below, library users are expected to act in accordance with all University policies (e.g. Computing and Electronic Communication Policy) and the Code of Student Conduct. Library users must present or surrender their valid SU identification cards at the request of library or university staff, in accordance with the Syracuse University I.D. Card Policy. The Libraries reserve the right to inspect possessions at entrances/exits. The Libraries give priority to Syracuse University faculty, students, and staff who are using library resources for research, instructional, and informational purposes. Thus, at peak times, individuals using the library for casual or recreational purposes may be asked to relinquish their use to other users. Library users with valid SU/ESF I.D. cards may use any Syracuse University library during operating hours. 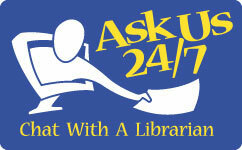 The general public may use the libraries when resources are not in use by or reserved for those with valid SU/ESF I.D. cards. Only SU/ESF students, faculty, and staff may be present in libraries open after 8 p.m. or before 8 a.m. All users will be asked to present their SU/ESF I.D. cards during these times. Security personnel will make random checks during the 8 p.m. hour to ensure that those in the building are SU or ESF affiliated. Smoking is not permitted in library facilities. Disruptive behavior (e.g., loud talking or audible use of personal electronic devices such as cell phones) that interferes with the study and research needs of others will not be tolerated. Offending individuals will be asked to cease their disruptive behavior. If they do not comply, they will be required by library or Department of Public Safety staff to leave the library facility. Theft and mutilation of library materials are serious offenses, subject to fines, replacement costs, and/or judicial action. The Libraries make available information about borrowing privileges for circulating and reserve materials, as well as policies about borrowing materials from other institutions, through interlibrary loan. The Libraries report unpaid fines/fees to the bursar's office, which withholds future University registration privileges, transcripts, and diplomas until fines/fees are paid. Circulation policies differ at the Martin Luther King Jr. Memorial Library, the Syracuse University College of Law Library, and ESF's F. Franklin Moon Library. Notices, signs, etc. may be posted only on public bulletin boards. The Library reserves the right to remove postings that are outdated or inappropriate. In supporting teaching, learning, and research on campus, Syracuse University complies with all U.S. intellectual property laws, including the Copyright Law of 1976 (Title 17, United States Code), as enacted and amended. Animals, except those animals trained or being trained to assist persons with disabilities, are not permitted in any Syracuse University Libraries. In recognition of the individual's right to privacy, protected by New York State law, the library does not release information about borrowers or materials borrowed, except as required by law. Library collections and services are not designed to meet the needs of children. During school field trips, children must be accompanied by a teacher or other school personnel. At all other times, children must be accompanied by an adult. Patrons are prohibited to take bicycles, rollerblades, etc., in the Libraries, in accordance with University Policy entitled "Non-Motorized Wheeled Vehicle Use on University Property" (also in Student Handbook, p. 30, 34).